This project will help us understand how U.S. installers can lower costs and drive the future of the industry. Today, Rocky Mountain Institute (RMI) announced the launch of the Simple BoS (Balance of Systems) project, a partnership with Georgia Tech Research Institute (GTRI), to explore the cost divide between the U.S. and Germany for residential solar photovoltaic systems. Balance of System (BoS), or “soft” costs now account for more than 60 percent of the price of U.S. rooftop PV systems, yet such costs are 75 percent lower in Germany, the worldwide solar market leader. In most areas of the U.S., solar PV remains an expensive energy option, even as module costs have decreased significantly. RMI sees reducing BoS costs—all the related solar energy system costs besides the panels themselves including permitting, financing, installation, and inspection—as a critical pathway to affordable PV and widespread solar adoption. RMI and GTRI are partnering with key solar installers across the two countries to explore specific components of the cost divide between solar installation processes in the U.S. and Germany. Using survey data and time-and-motion studies, the project will measure the status quo in both countries, analyze key differences, and then propose solutions to improve the installation process in the U.S. and beyond. Building on the recommendations of RMI’s 2010 charrette on achieving low-cost solar PV, the Simple BoS project will delve deeply into the installation processes. The project will employ Lean and Six Sigma process strategies to analyze and reduce overall system variability and provide an opportunity to inform future system designs, guide supply chain development, and inform local government rule-making processes. 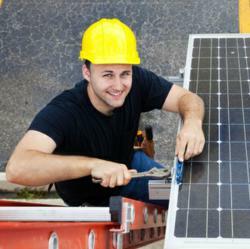 The project will look at several key factors in the solar installation process, including the labor hours of PV installation, the impact of local government involvement and permitting regulations on installation time and pricing, and the difference in time-to-system activation—the length of time it takes for a solar project to go from signed contract to energized system—between the U.S. and Germany. RMI is actively recruiting installers now to participate, and interested companies can visit rmi.org/simple to learn how to engage with the project. Data collection has begun in the U.S. and will continue here and in Germany through the summer 2013. RMI is expected to release a report documenting the findings by the end of 2013.